We offer Full stack web app development to meet your business goals and getting your strategy right. Businesses today can enjoy the benefits of custom made Web application development on a whole new level. We help customize applications as per the exact specifications and needs of the client user and their end-users. Formulate the best cloud strategy using the SaaS, PaaS, or IaaS cloud architecture ensuring scalability, security, and reliability of your application. Employ an easily scalable team that thoroughly adjusts to your organization, we provide just as many web developers, and all the design experts that you need. We've been making our websites and web apps responsive and adaptive now. 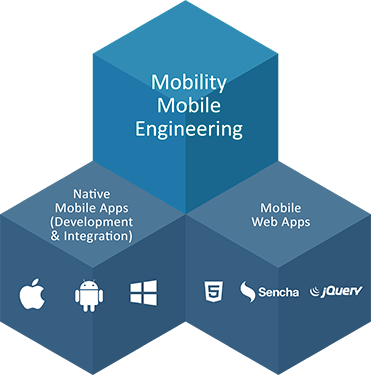 We build fast-loading, highly optimized experiences that will work across a wide range of devices. 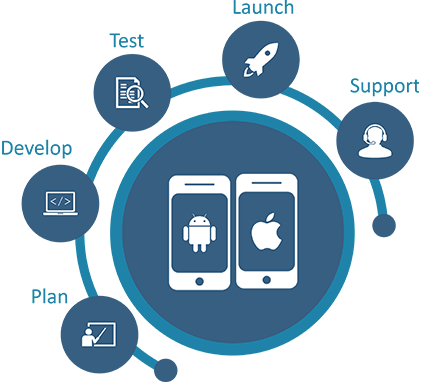 Right from building custom made mobile applications to complete product development we have it all. Do you need a custom, native iOS or Android? Prefer a cross platform responsive web app? Require a secure backend? Where others struggle, we master it. For the business owners/enterprises seeking iPhone apps development company to work with, we ensure the best to our customers guiding them through top technological preferences to deliver their needs. From iPhone to iPad to Apple Watch we've built a boatload of iOS apps. We've achieved success in almost every category for just about every industry. We're also experienced in Swift, and have the best team of C and ObjectiveC coders. This app lets you capture it all – a view, a moment, your own personal thoughts – and leave a digital footprint in that exact spot for others – or themselves – to see." MSys has done multiple storage projects for a large number of storage clients. For any IT organization, modernization of enterprise apps development is pivotal. This white paper gives an industry perspective on the topic.